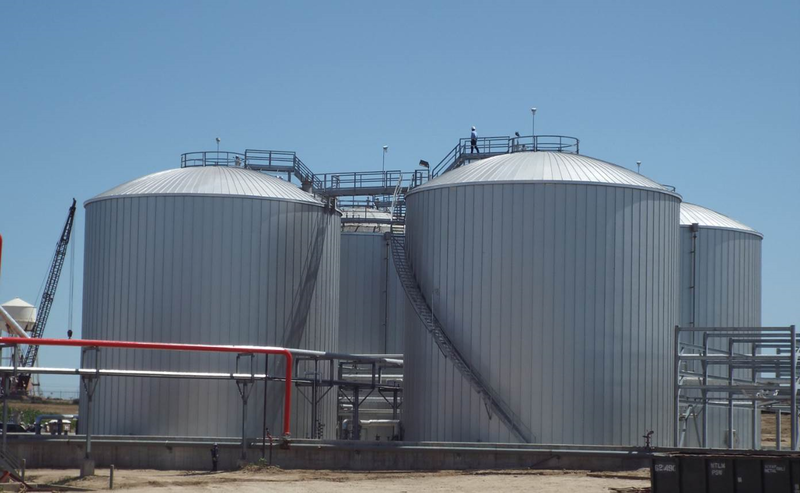 storage tanks | Welcome to our Blog! Straight Line Industrial Services, a full service industrial services company, recently completed a major maintenance project in conjunction with Stoltahaven Houston Inc. The project spanned over 2 years and completely utilized all of Straight Line’s services offered. Stolthaven called on SLI to use their expertise in Scaffold, Pipe Insulation, Tank Insulation repair, Electrical Heat Trace Systems, and Tank insulation to complete the project. Over 3000ft of 9” and 8000ft of 8” pipe were steam traced and insulated throughout Stolthaven’s facilities. As mentioned earlier, to complete the work, SLI had to provide their expertise in scaffolding to support their field insulators. In addition to standard industrial insulation systems, there was over 1000ft of EHT installed in various Electrical Heat Trace Systems at Stolthaven. The job culminated with SLI being asked to provide Strong Seam Panels® to cover 4 newly constructed holding tanks. UPDATE: Straight Line Industrial Services has recently been awarded more contracts from Stolthaven Facilities and continues to provide services and support.